LG has decided to go big at IFA — when it comes to monitors, at least. The company has released details on three ultrawide, curved displays ahead of its press conference on September 1. This includes two 34-inch models and a 38-inch titan, the largest of its kind. Let’s start with the big boy. 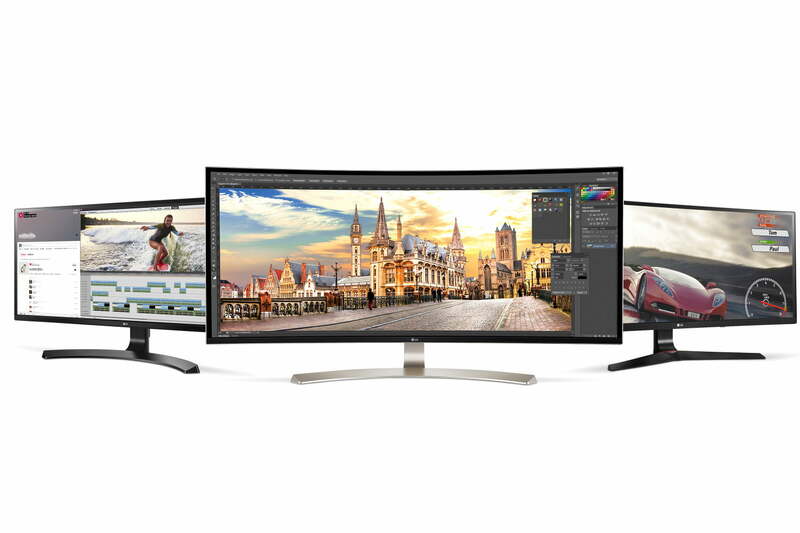 Measuring 38 inches diagonally, the LG 38UC99 is a curved 21:9 set that uses IPS panel technology and offers a resolution of 3,480 x 1,600, the highest we’ve seen from a curved monitor so far. LG also says it offers stunning color thanks to its color gamut, which spans 99 percent of the sRGB standard. It has a USB Type-C port to transmit data to additional devices, and a pair of 10-watt speakers. Surprisingly, LG says the speakers are Bluetooth enabled, so you can connect your smartphone (and other devices) to them wirelessly. Of course, these features will cost you. LG says the display, which goes on sale mid-September, will be priced at $1,499. Next up is the LG 34UC79G. This 34-inch ultrawide monitor targets gamers with its 144Hz refresh rate and IPS display panel. LG says its the first of its kind, which appears correct due to its use of IPS technology — though there are other high-refresh monitors that use different panel technology. The display also offers support for AMD’s FreeSync, a display synchronization technology that smooths out framerates in game. Gamers will need $699 to snag this display when it debuts in October. And then there’s the LGUM79G. Designed for multimedia use, this 34-inch IPS ultrawide’s claim to fame is its ultra-thing bezel. LG says this makes for a more immersive experience with movies and games, though the 34UM79G, unlike the 34UC79G, does not support AMD FreeSync. This model does have built-in support for Google Cast, so multiple devices can stream right to it. It will debut at a modest $599 in November. This is a strong showing of new displays from LG. The 38-inch 21:9 monitor is certainly a way to make a statement, and it’ll dwarf the next-largest models (which span 35 inches) — unless any of LG’s competitors have massive displays of their own to show this year.